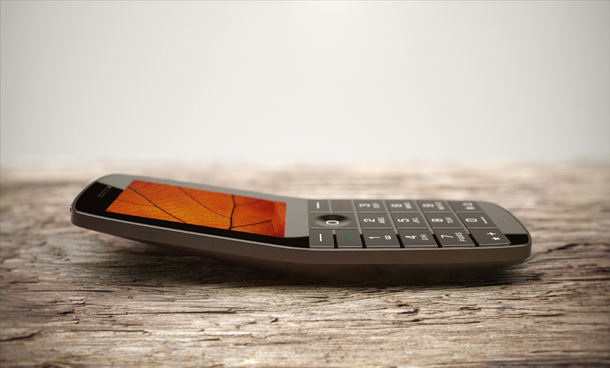 Folded Leaf is a new mobile phone design by Claesson Koivisto Rune for Huawei. 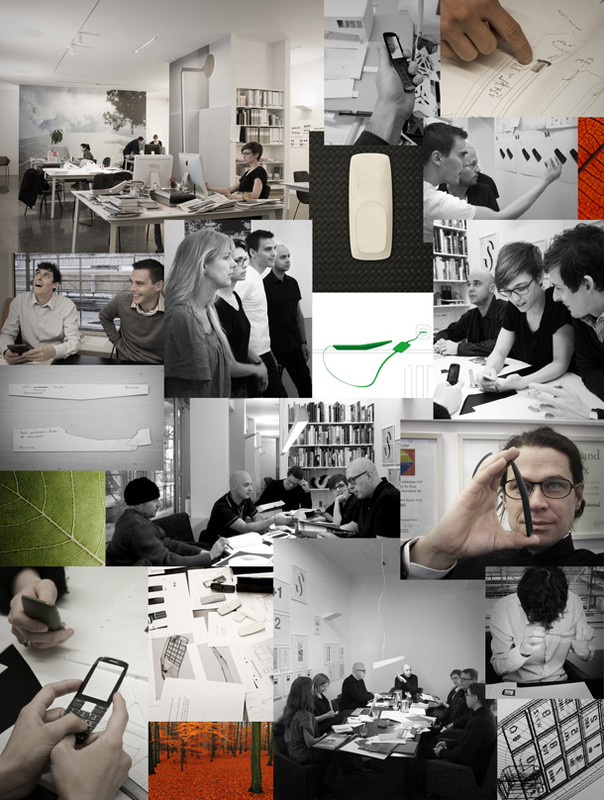 Folded Leaf will be exhibited at Superstudio Piu, in Zona Tortona, during Salone del Mobile, 2011. 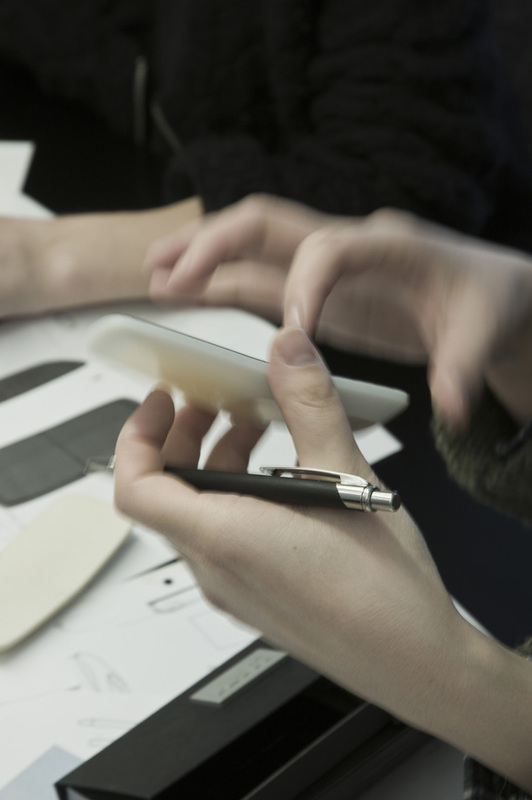 Claesson Koivisto Rune’s mission was to create a design that re-engages with a more simplified and intuitive notion of communication and that sidesteps the functional hyperbole of many smart phone devices. “It was my impression that the team at Huawei were initially attracted to our studio because we have an eye for architecture and furniture design, Our multi-disciplinary approach means that we were unlikely to approach this project like an experienced mobile phone designer.” Reflects Ola Rune. 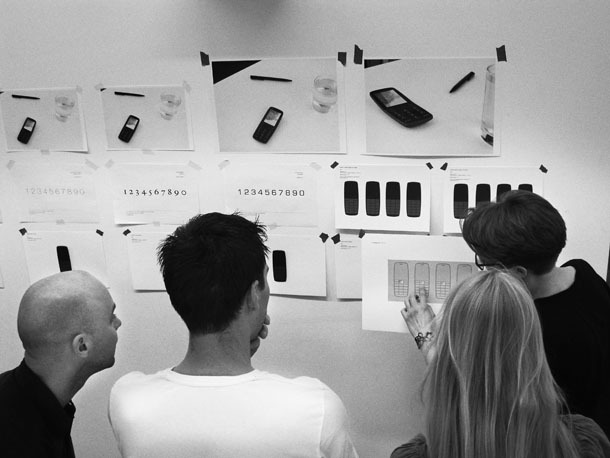 Every aspect of the phone has been designed with the user in mind. 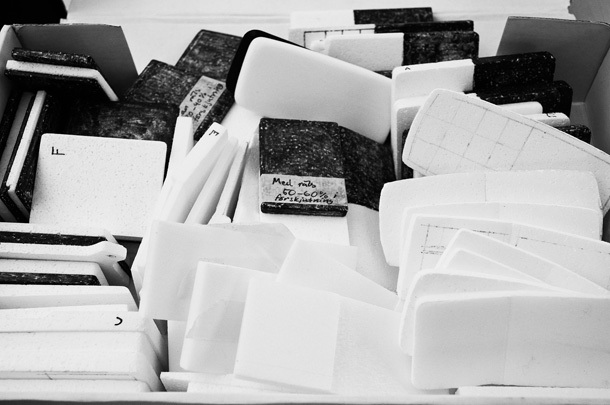 Claesson Koivisto Rune were keen to achieve a design that would offer an enhanced physical and ergonomic user experience and that would complement and support the features of the human body. As the name suggests, the shape of the Folded Leaf takes its cue from nature. Primarily, however, the gentle fold in the body references the curvature of two familiar and successful phone typologies: the classic (if not slightly cumbersome) handset of the late 1930s and the ‘clam shell’ or ‘flip’ phone of the late 90s. These designs possess userfriendly qualities, namely a well-considered ear-to-chin angle as well as a more instinctive distance between ear speaker and microphone. When it comes to portability, the phone’s gentle fold is designed to respect the curvature of the human body – after all, the chest, hip or thigh are not flat surfaces. Therefore, the handset becomes a more natural accessory for its user – slightly rounded so that it feels natural to grip yet with some defined edges so that it doesn’t slip out of the hand like soap. 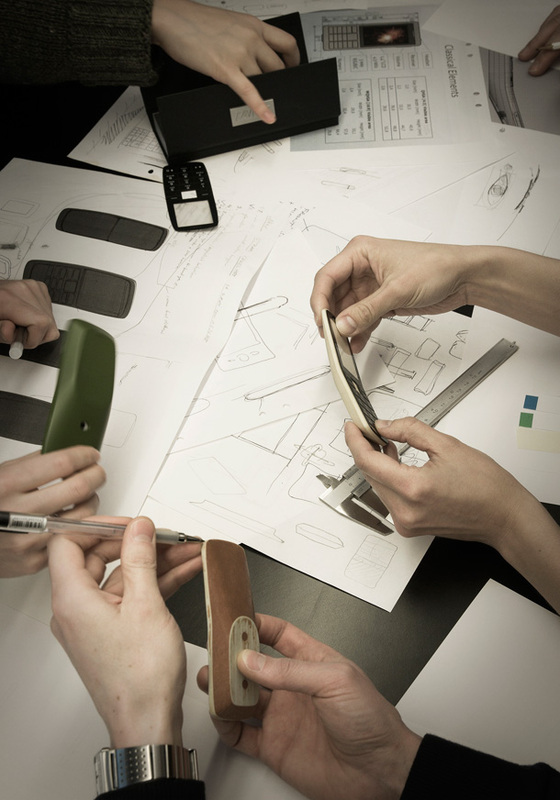 “Every curve, facet, angle, and proportion optimises the user experience,” Eero Koivisto proudly states. 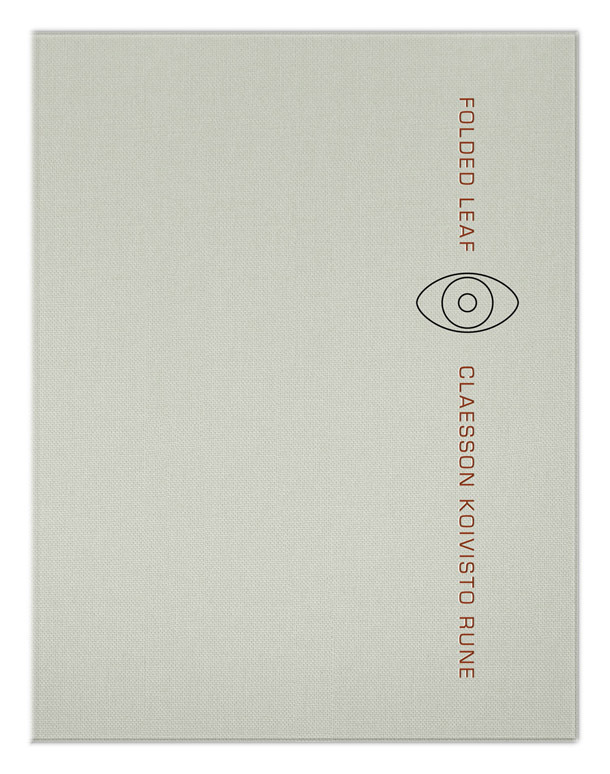 A book, entitled ‘Folded Leaf / Claesson Koivisto Rune’ has been published to accompany the exhibition. Folded Leaf, the tiny camera on the back has been shaped to mimic the human eye, playing on the fact that it is quite literally an eye on the world. “We sometimes refer to this design as the ‘eye phone’,” jokes Eero Koivisto.